I love to come up with creative Do It Yourself (DIY’s) ideas to solve issues, and this one is not only environmentally friendly, but it is also beautiful and beneficial! 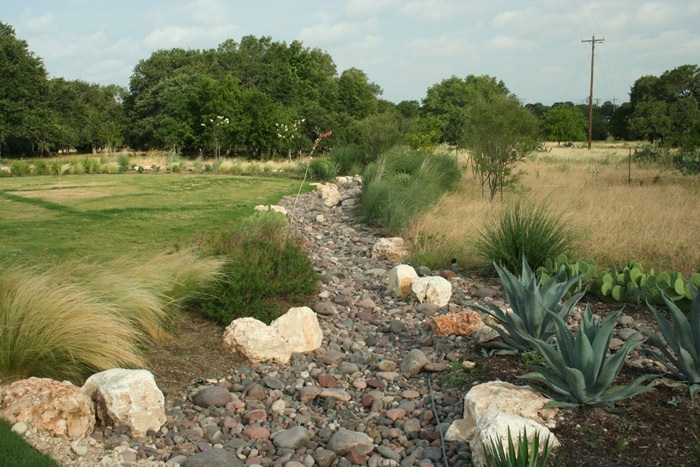 How we landscape can solve a lot of problems with storm water runoff and drainage, helping to recharge aquafirs, filter toxins and generally reduce pollution of our waterways and oceans. The main purpose of those rain gutters on your roof are to get the water off your roof and away from the foundation. Similarly, road gutters and storm drains main purpose is to remove the water from the city streets to prevent flooding. As long as you keep that in mind, what you can do with the water before and after it drains is almost limitless. Here are my favorite tips to conserve, recycle and reuse water. One of the best tools for water conservation and to reduce runoff is to collect rainwater from your roof with a rain barrel collection tub. These have become so mainstream now, you can usually find them at your local hardware store complete with drain faucets at the base and mosquito screens at the top. 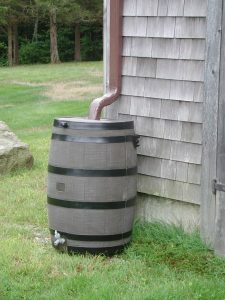 Place these under your drainage gutters around the house to collect rainwater to use for irrigation during dry periods. Reducing the amount of impermeable surfaces is another way to decrease runoff and pollution, just think of all the areas around the house this can be done. Driveways, walkways and cement patios all reduce the amount of absorbable surface area, creating more runoff. Green your driveway with alternate materials, or just get rid of the surfaces all together. There are many options for replacing these surfaces with permeable solutions which can perform and look even more beautiful with little to no maintenance. 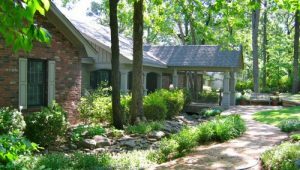 Landscaping with native vegetation is one of the most beneficial and best ways to almost eliminate irrigation and maintenance from your yard. In this arena, I would suggest consulting a native plant nursery or specialist to ensure proper plant selection for year-round foliage. When done correctly, this can bring local wildlife, birds, and butterflies into your garden sparking them to life above and beyond simple flowers. Capitalize and enhance natural drainage features on your property and in your landscape. Take a look at how water drains and use it to your advantage. 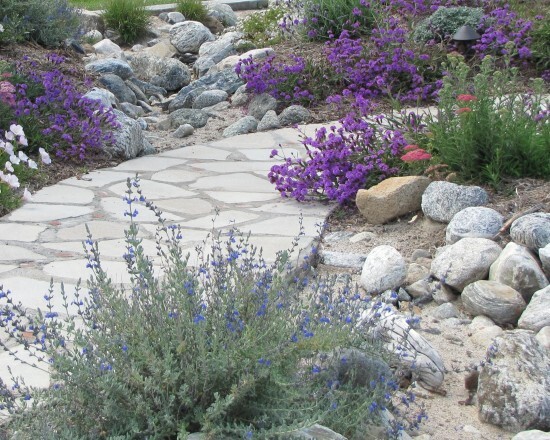 Create a ephemeral meandering stream or pond using rocks and wetland plants. This will not only serve to keep the water on your property longer (therefore keeping it out of the storm drains), but also provides a showpiece and interesting feature to your landscape. 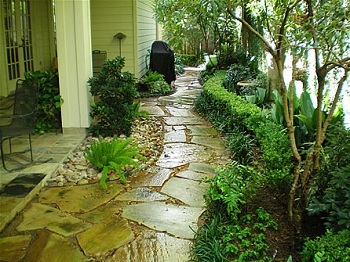 Get some more ideas from this landscape drainage photos site. Create a pond or natural water feature fed by rainwater and drainage to save up for use as an irrigation source. Be sure to consult a pond specialist as you may need to add fish and or pumps to reduce stagnation and mosquito colonization. The more you can incorporate into your landscaping to conserve water and reduce runoff, the bigger difference you can make in reducing pollution in our waterways.